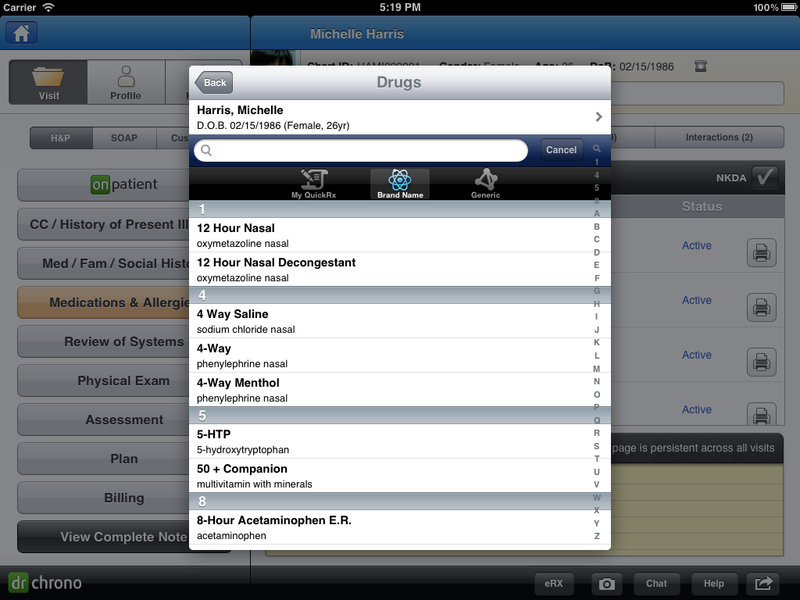 View this slideshow of screens from drchrono’s iPad EHR. 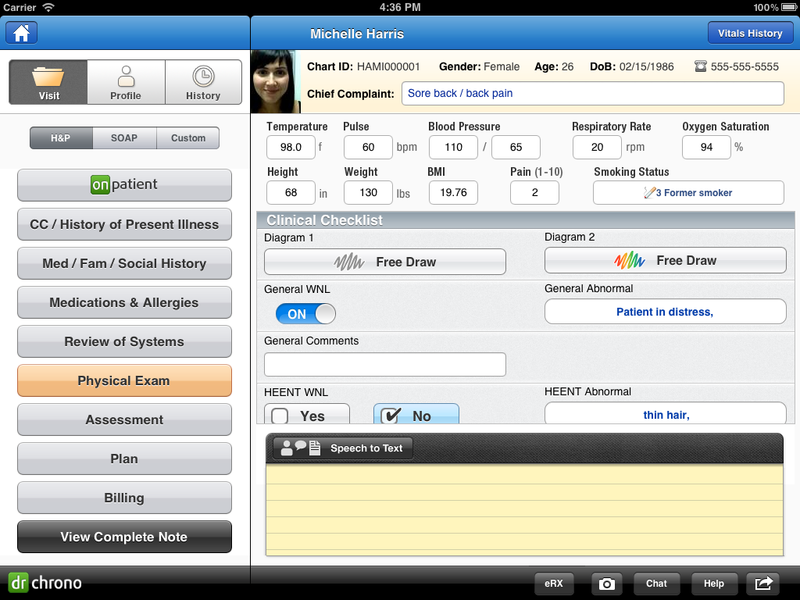 Using the iPad’s streamlined functionality and convenient technologies like speech recognition, the EHR offers customizable forms and efficient workflow. drchrono’s EHR uses the iPad’s built-in camera to allow providers and patients take photos, so that each patient’s record has a headshot. 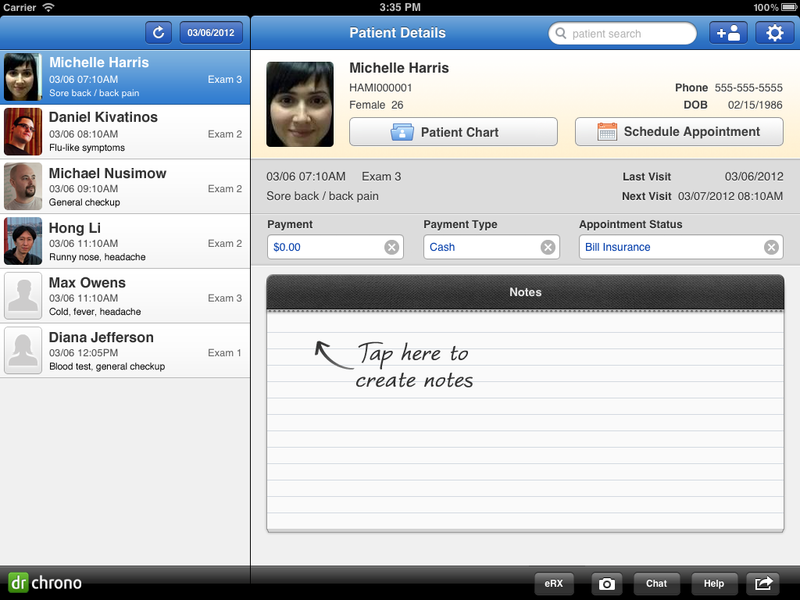 The patient details screen has the patient’s contact and appointment information. A sidebar shows other appointments for the day. Click on the images to enlarge. Images courtesy of drchrono. 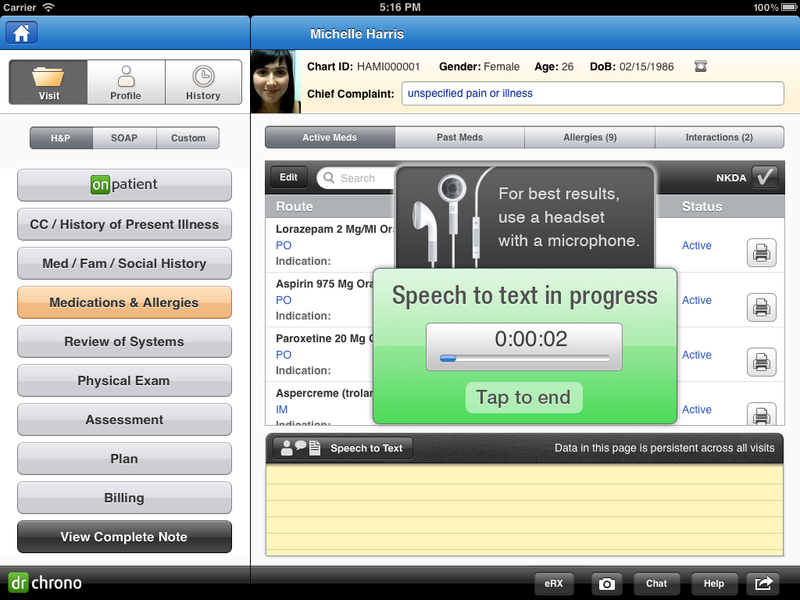 The EHR offers accurate medical speech-to-text technology. Tap the screen, speak and the text appears in the record. The physical exam screen has multiple fields for entering vital information, as well as details specific to the patient’s condition. 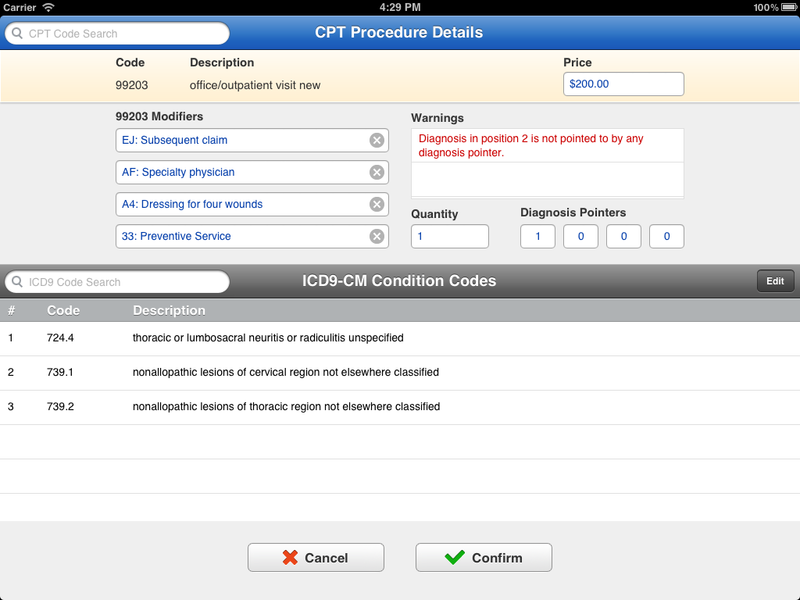 Providers can customize any clinical form in the drchrono EHR. A list of all the medications a patient is taking helps eliminate confusion. The EHR also allows doctors to fill out prescriptions and send them to any retail pharmacy location in the United States. 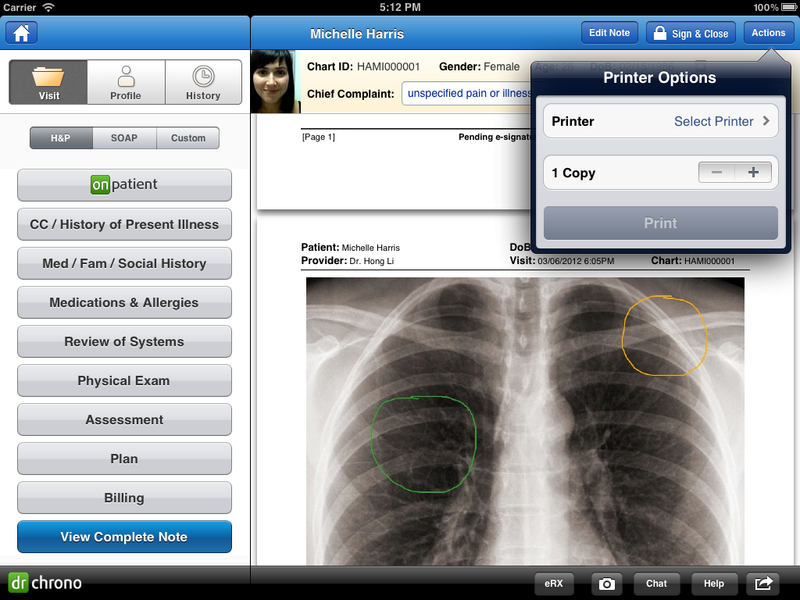 The EHR also allows providers to view images, and share them with the patient. The FreeDraw functionality lets providers make freehand drawings on anatomical diagrams, X-rays or any other file and embed them into the patient record. The screen shown above is where providers enter CPT and ICD codes. There is a handy search function, to make entering codes more efficient. The simple design makes it easy to verify that the information entered is correct.